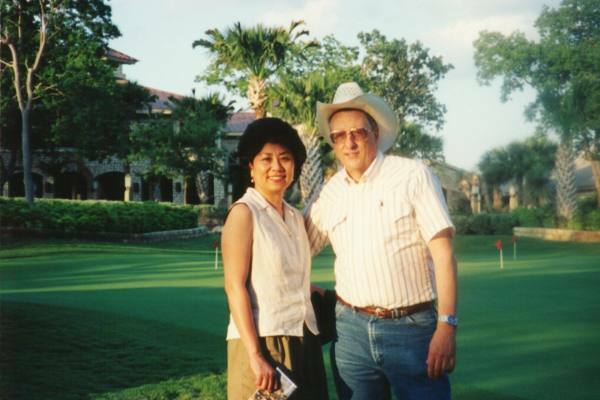 Awhile back (June 19, 1999), Angie and I just got tired of working, so we chucked it all and took off to Horseshoe Bay, staying at a friend's condo for 3 days. 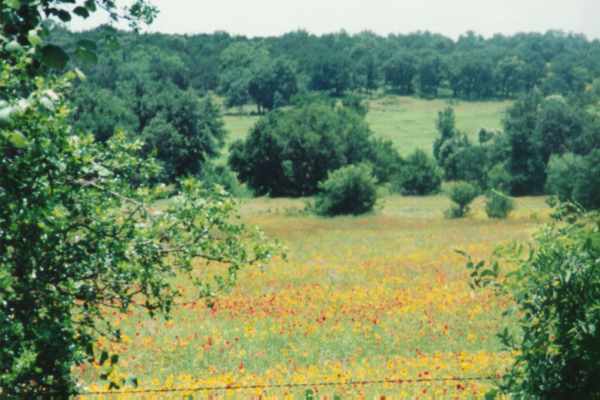 To our surprise, the hill country was still alive with wildflowers. We had a great time, and are looking forward to going back. We had a great time down at Horseshoe Bay. 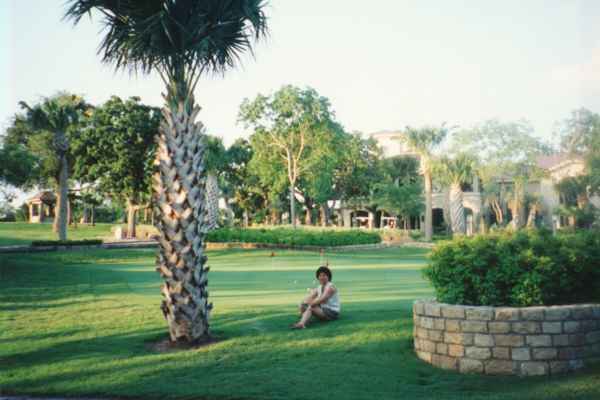 Although we don't golf, we sure enjoyed the grounds, and we found some great food in nearby Marble Falls. 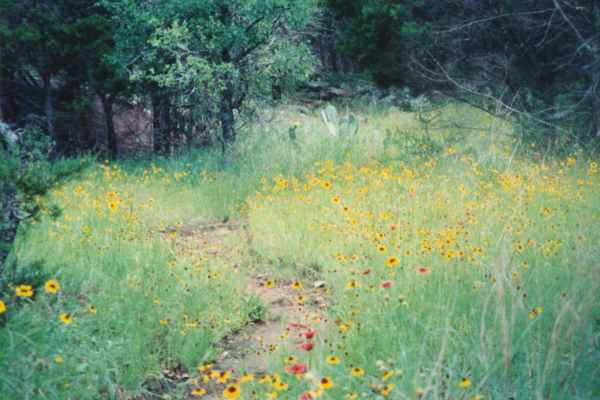 This shot near Inks Lake was typical of what the wildflowers in hill country were like. It almost seemed like a yellow light they were so bright. 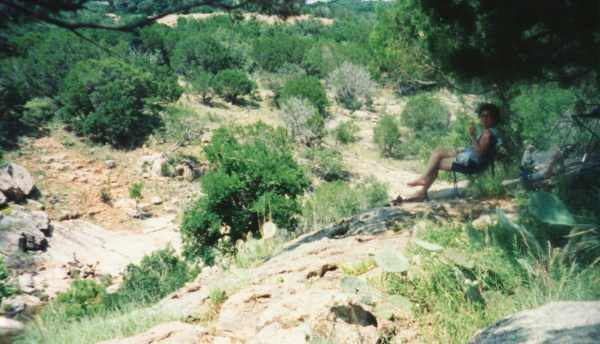 We climbed up the canyon walls over looking the Devil's Waterhole in Inks Lake park, found a good shade tree, and settled back to eat some iced strawberries we had brought along. A couple'a hundred feet below in the canyon, folks are taking a cooling dip in the stream. 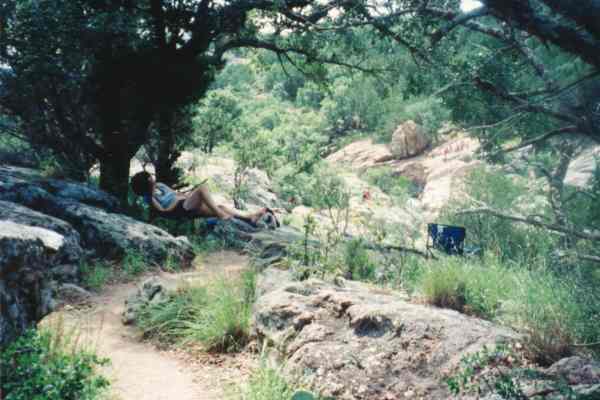 While Angie relaxed in the shade, I had to go over the next hill and around the next bend just to see what was there. 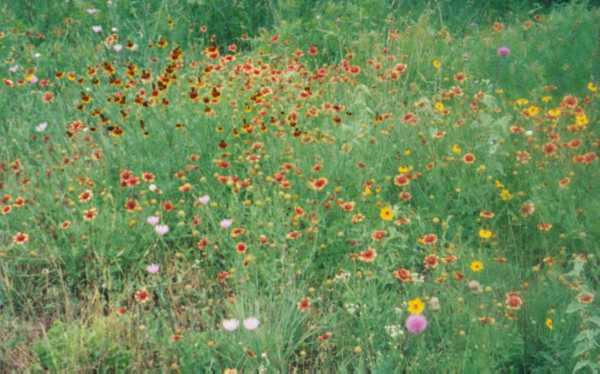 Most everything was in bloom. 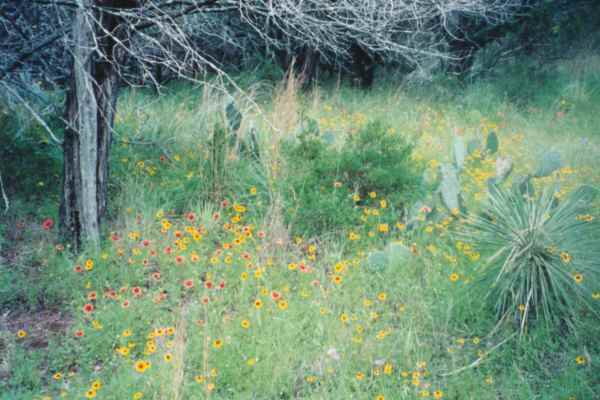 This was typical of the terrain among the trees above the canyon. Believe it or not, I didn't get a single chigger bite after walking a mile or so through this! 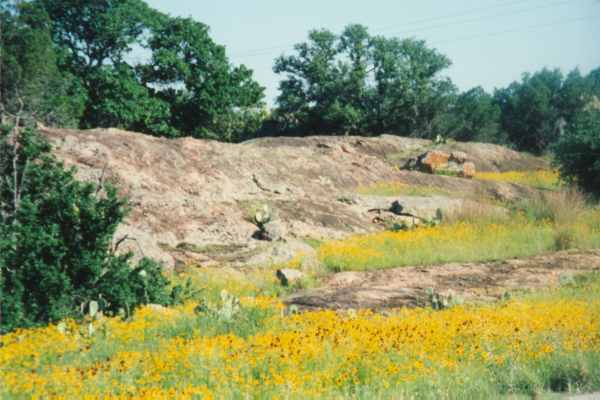 Here's a typical shot of the blooming hillsides. You have to see it in person to appreciate it. My pictures just don't do it justice.